Welcome back! 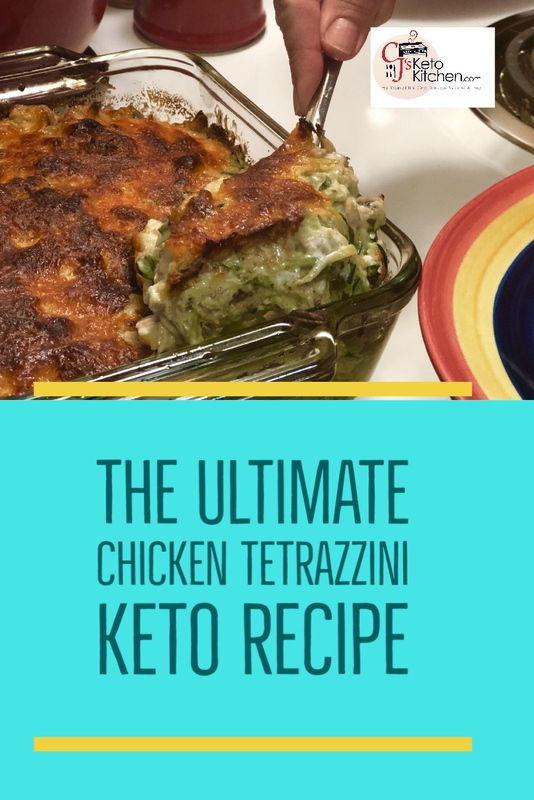 This week we are going way back in time and bringing you a ketofied version of an American classic Chicken Tetrazzini – this is comfort food at its best! 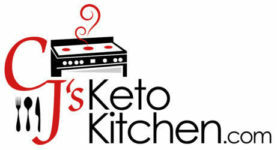 And did I mention that we’ve ketofied the recipe, so it safe for keto and low carber’s alike. The name sounds Italian but it is truly an American dish. The dish was named after famed Italian Opera singer Luisa Tetrazzini. The origin of the dish is a bit fuzzy, but the recipe was published by Good Housekeeping in 1908, as Turkey Tetrazzini. We actually made this recipe right after Easter 2018 and used our left over Turkey. 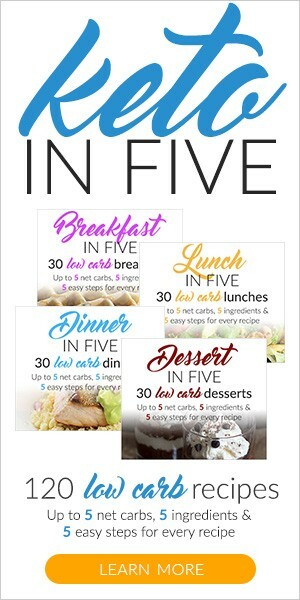 So this recipe can be super versatile. In our video over on YouTube used a Rotisserie chicken, to highlight its versatility and show how this can be a easy to make weeknight Keto friendly dish that the whole family can and will enjoy! In the video we also discuss how you can use either Spaghetti Squash or Sprialized zucchini as your zoodles (replacing the pasta). Spiralize each zucchini into spaghetti noodle shapes using a spiralizer tool. Salt the zucchini noodles and layout over folded paper towels to remove excess moisture. Let the zucchini noodles sit for 30 minutes, then squeeze to remove additional water from the vegetable. You may use spaghetti squash instead if desired. Cook at 375 degrees in a water bath for one hour. Cut open, deseed and shred into “spaghetti” strands with a fork. Melt butter in a large saucepan over medium heat. Add onion, mushrooms, and garlic to the pan, stirring as needed. When onions become translucent, add the chopped chicken breast and increase temperature to medium-high. Once the chicken cooks to a white color, if using rotisserie chicken, shred, or chop and blend with mushrooms/onion mix..add heavy cream to the pan and thoroughly mix while bringing the sauce to a boil. Reduce heat and allow the sauce to simmer for an additional 1-2 minutes. Remove the sauce from heat and whisk in the xantham gum little by little to thicken. If you prefer a thinner, runnier sauce, leave this out or cut the amount in half. Combine “noodles” of choice into sauce. Arrange zucchini & chicken mixture in the bottom of a deep casserole dish. Top with half the cheese, repeat, ending with cheese. For ten servings of the recipe, I use a 8×8-inch casserole dish. Bake for 40 minutes at 375°.